The product was being marketed for conditions including Alzheimer disease, fibromyalgia, spinal cord injury, multiple sclerosis, muscular dystrophy, Parkinson disease, and peripheral neuropathy, among others. In recent years, through its Regenerative Medicine Advanced Therapy (RMAT) designation pathway, the FDA has promoted the development of stem cell and gene therapies to help provide treatments to myriad conditions without options. During a recent inspection of the StemGenex facility, the agency found that the company was processing adipose tissue into stromal vascular fraction (SVF) for a variety of administrations, including intravenous, inhalation, and injection into the spinal canal. The product was being marketed illegally for a number of conditions including Alzheimer disease, Crohn disease, type 1 and type 2 diabetes, fibromyalgia, spinal cord injury, chronic obstructive pulmonary disease, multiple sclerosis, muscular dystrophy, Parkinson disease, peripheral neuropathy, and rheumatoid arthritis. The SVF product involves manipulation of a patient’s adipose tissue and is regulated as both a drug and biological product. In order to lawfully market this product, a valid biologics license must be in effect, though during development, the SVF product may be used in humans if an investigational new drug application (IND) is in effect. No such licenses or approval is available for the StemGenex product. 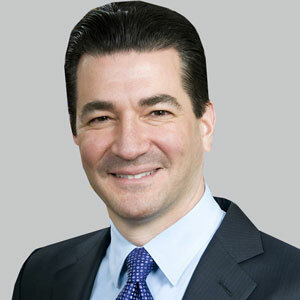 The commissioner added that the FDA supports sound, scientific research, and regulation of cell-based regenerative medicine and that the agency has advanced a comprehensive policy framework to promote the efficient approval of regenerative medicine products. “At the same time, we’ll continue to take enforcement actions against companies that abuse the trust of patients and endanger their health with uncontrolled manufacturing conditions or by promoting so-called ‘treatments’ that haven’t been proven safe or effective for any use,” he said. The good manufacturing practice requirements which the FDA noted were not in operation included unvalidated manufacturing processes, an uncontrolled environment, a lack of control over the components used in production, and the lack of sufficient and validated product testing. The FDA has requested a response from StemGenex within 15 working days that details how the deviations noted in the warning letter will be corrected. Deviations not corrected by companies and owners could lead to enforcement action such as seizure, injunction, or prosecution. The agency is urging health care professionals and consumers to report any adverse events related to treatments with the StemGenex product to the FDA’s MedWatch Adverse Event Reporting program. To file a report, use the MedWatch Online Voluntary Reporting Form. The completed form can be submitted online or via fax to 1-800-FDA-0178. The FDA monitors these reports and takes appropriate action necessary to ensure the safety of medical products in the marketplace. 1. FDA Warning Letters. StemGenex Biologic Laboratories, LLC 10/31/18. FDA website. fda.gov/ICECI/EnforcementActions/WarningLetters/ucm625497.htm. Published October 31, 2018. Accessed November 13, 2018. 2. FDA warns StemGenex Biologic Laboratories LLC of illegally marketing an unapproved cellular product manufactured in a facility with significant manufacturing violations, putting patients at risk [press release]. Silver Spring, MD: FDA; Published November 13, 2018. fda.gov/NewsEvents/Newsroom/PressAnnouncements/ucm625727.htm. Accessed November 13, 2018. 3. Disclaimer. StemGenex website. stemgenex.com/disclaimer. Accessed November 13, 2018.